Would you like to win a Complete Air Management System from Baker Built Air Wings (Retail value of up to $440.96)? Of course you would! 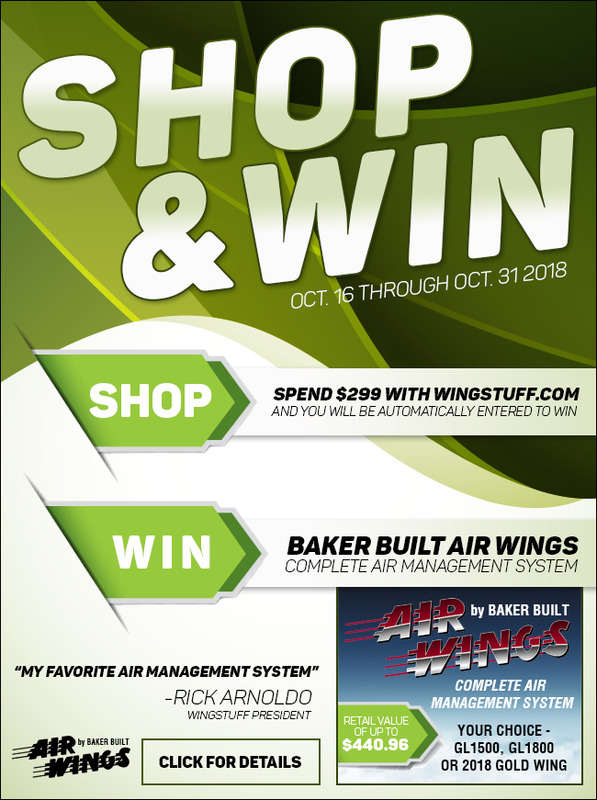 From October 16 through October 31, 2018, when you spend $299 or more at WingStuff.com you will automatically be entered to win Baker Built Air Wings Complete Air Management System for either a GL1500, GL1800 or 2018+ Gold Wing. It's your Choice. Click below to find out more!